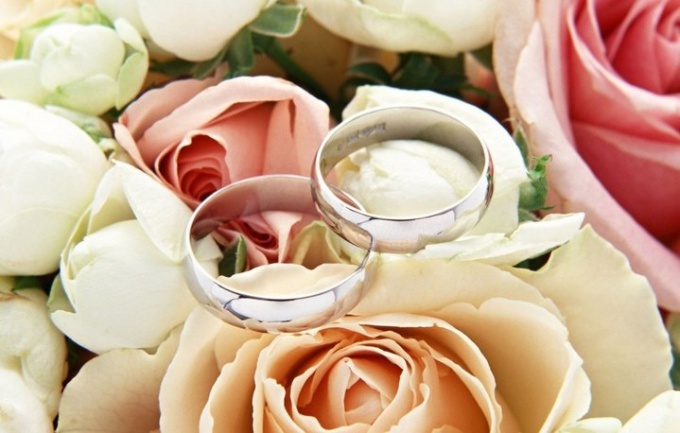 A wedding is a joyous and important event in the life of not only the newlyweds but also the loved ones. The atmosphere of celebration and happiness felt in the house where preparations for the event. Appropriate surroundings create wedding jewelry to decorate the apartment. Decorate the room with balloons is the most popular element of the wedding decor. Choose the model of different colors and shapes theme — in the form of hearts or swans. You can make interesting compositions of several balls. It is best to buy helium balloons. Sprinkle in the room of the bride small balls of gold, white, or pink. It can be used as the last obstacle for the groom towards the bride. Arrange in a room on the floor small white or red candles in the shape of a heart, if the dimensions of the room allow. Candles are good to decorate the bride's mirror, dressing table, chest of drawers, the window sill. Battery drape beautiful fabric, and the Windows, put a vase with fresh flowers, but without packaging. Tie them to the chandelier or lamp shade with many white ribbons of organza or satin; paper wedding figurines. The higher the ceiling, the longer can be the ribbons. Decorate the room with flowers. If the wedding takes place in summer, in the bride's room will look great live wildflowers: cornflowers, daisies, bluebells, daisies, and Golden ears. Put them in baskets and put in several places. Such decoration will create a romantic and pleasant atmosphere. Make not only the battery and the window sill, but the door. Take bilateral transparent tape and drape fabric, and then using the same tape decorate it with paper hearts, artificial buds, bulbs. Hang it on the door wedding heart, which you can buy in a specialty store or make your own using wire, beads, fabric flowers, ribbon, feathers, glue. Place in the hallway to the room of the bride of the candles, alternating with white or pink flowers of starched fabric. Before the arrival of the groom candle should be lit. Similarly, you can decorate and stairs leading to the apartment. Select a few memorable and good photos of the bride and groom, purchase for them the original wedding frame and place in the room so they "looked" at the front door.